This four-week clerkship will challenge medical students to take care of patients undergoing surgical procedures, along with patients being cared for in the Intensive Care Units. During the operative two-week block, each student will be expected to critically examine the perioperative process, as well as learn fundamental procedures that are coupled to it. 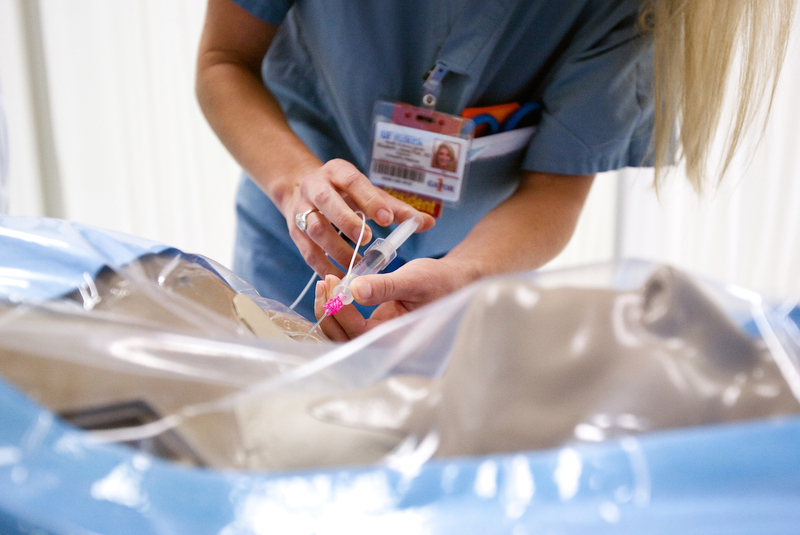 The Critical Care two-week block will ask students to manage the critically ill patient, as well as implement the necessary interventions for stabilization and management. The education will start with modules that each student must complete prior to the corresponding lecture. These will involve active participation by means of simulation and problem-based learning discussions. This is a four-week required clerkship. The first two weeks will be dedicated to intraoperative anesthetic management of the surgical patient, including patient care under the direct supervision of a resident or attending. A typical day would include arriving at ~6:00 am to help set up the OR, attending conference at 6:30 am, and starting the first OR case of the day at 8:00 am. Typically, there will be several cases throughout the day in which the student will participate. Additionally, a continuity of care is expected by performing the next day’s preoperative evaluation, along with visiting the postoperative patients from the preceding day. During the second two weeks of the clerkship, the student will participate in the ICU management team of their choosing. Each ICU management team differs slightly in schedule and management styles, therefore, the specific times and rounding formats are left to each service to define within the framework of achieving the goals and objectives. One-half of the group will start in the operating room for the anesthesia portion of the clerkship. The other half of the group will start in the ICU. At the two-week interval, the groups will switch. Online learning modules will be available for the students to complete on their own time. These will correspond to a simulation or a problem-based learning discussion that requires material to be understood in order to critically appraise the patient scenarios. The student must complete the online learning modules before the scheduled simulation or problem-based learning session or the student will not earn credit for the module. Anesthesiology and Critical Care Medicine is the practice of medicine as it pertains to the perioperative experience as well as with patients suffering through critical illness. From basic review and application of pharmacology, physiology, and pathology to the full range of perioperative medicine and acute and chronic pain management, this rotation in the Department of Anesthesiology encompasses all disciplines in a unique and relevant way. The Department provides a non-threatening learning environment in which students are expected to actively participate in planning, procedures, and management of acutely ill patients. By active participation in the OR, the ICU, the simulator, and in case discussions, students will develop a foundation in perioperative medicine and critical care that is applicable to all physicians regardless of specialty.